CLINIQUE Skincare Gift Set New & Unused Free 1st class post! Clinique makeup bag with logo. Cleansing Micellar Gel. Light Makeup Remove. Makeup Remover. Women’s Clinique Gifts . Dispatched with Royal Mail 2nd Class. This collection includes a variety of different items which I do not use, including face washes and moisturisers. All are suitable for travel or as small gifts. If you could like anymore information or would like any more pictures then please feel free to contact me. Various clinique items from gift sets includes pep start 2 in 1 cleanser and night mask .mild liquid facial soap 30ml and take the day off make up remover mascara and chubby stick for eyes bountiful beige and fab headband .unopened . Brand New CLINIQUE Skincare and make up Gift Set . Make up bag clinque Compact mirror Clinque smart .17floz CC cream colour corrector .24fl Oz Moisture surge 15 ml Scrub cream 30ml Condition is New . Dispatched with Royal Mail 2nd Class. A New, Authentic, Collection of Clinique Free Gifts and Trial Samples along with a Clinique Wash Bag. 1 x Clinique Rinse-off foaming Cleanser – 30 ml. 1 x Clinique High Impact Mascara - Black – 3.5 ml. Clinique Maximum Hydrator Activated Water Gel The gel-water formula is ultra-light, but intensely hydrated to increase the skin's moisture content for 24 hours. Innovative Liquid-Sphere Technology combines waterproof water-based ingredients with encapsulated antioxidants to break the cycle of dryness and environmental stress that may age the appearance of the skin. It absorbs instantly, leaving the skin soothing, comfortable, fresh. No oil. Kapitza Make-up bag. Double Bubble Mask 12ml. Clinique Hello, energy travel set. New and boxed. Contains: pep-start eye cream, mild liquid facial soap, and turnaround daytime revitalising moisturiser. All contained within a small silver mesh zipped bag. Beauty on the go - NEW Clinique Gift Set. Clinique dewy delights Moisture Surge Gift Set. Condition is New. Dispatched with Royal Mail 2nd class. Unwanted gift never been used. Clinique Smart And Smooth Gift Set For Her - Women's NEW. Perfect for dry and combination skin types, the Smart and Smooth gift set features 3 unique products: Smart Broad Spectrum SPF 15 Custom-Repair Moisturiser 50ml, Smart Custom-Repair Serum 10ml, Smart Night Custom-Repair Moisturiser 15ml, Cosmetic Bag. The SPF 15 moisturiser helps skin attract and retain moisture, the Night moisturiser helps visibly smooth lines and wrinkles, brighten and strengthen skin’s moisture barrier, and the custom serum which addresses the appearance of uneven skin tone, lines and wrinkles. High Impact Mascara 01 Black - 3.5ml. This set contains Make up bag. Clinique Beautiful Skin Set Smart Custom Repair Serum & Eye Treatment Boxed NEW! Clinique Smart Custom Repair Serum 30ml. Your parcel may require a signature on arrival. If there is nobody available to sign for your parcel it will be taken to your local sorting office. Beautiful silver presentation box - as pictured. Bought in 2018 Unused And Sealed In Box. Clinique Mirror. High Impact Mascara Black Made in Canada 7ml. CLINIQUE GIFT SET. Pep-Start 2-in-1 Exfoliating Cleanser 30 mls. High Impact Mascara in Black 3.5 mls. Clinique Gift Set includes Liquid Facial Soap Mild (Dry Combination) - 30ml. Clinique Mild Liquid Facial Soap 50ml. Treat yourself to this unique and very generous set of travel products from Clinique. They would also make a great gift. 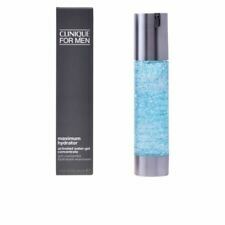 Clinique Rinse-Off Eye Make-Up Solvent 60ml. 2-in-1 Cleansing Micellar Gel 50ml. CLINIQUE GIFT SET. High Impact Mascara - 01 Black. New&sealed Clinique Moisturising Make Up 3 Piece Set Woman’s Make Up!! New&sealed Clinique Moisturising Make Up 3 Piece Set Woman’s Make Up!!. Condition is New. Dispatched with Royal Mail Tracked set includes: 1 x Make up bag 1 x 7ml Moisture Surge Gel 2 x 30ml cleansing make up remover Please check out my other items any questions please ask thank you. 5 out of 5 stars - New&sealed Clinique Moisturising Make Up 3 Piece Set Woman’s Make Up!! 1 product rating1 product ratings - New&sealed Clinique Moisturising Make Up 3 Piece Set Woman’s Make Up!! Beauty Cool Treats - NEW Clinique Gift Set. Brand New and Genuine but packaging may be damaged or shop soiled. The damage to the packaging could include but not limited to the boxes being: Scratched/Squashed/Marked/Ripped/With no cellophane (where a brand uses cellophane). Where the packaging has been extensively damaged we may remove the box in order to ship the product safely. We do not recommend these are purchased as gifts. .
ULTRA HYDRATION. All About Eyes 15 ml (reduces circles, puffs). Suitable for all skin types (1,2,3,4). High impact lash elating mascara 4ml, All about shadow trio. Pop lip colour - bare pop 3.8g. 50ml Face Cream SPF15. Clinique Smart Custom Repair Gift Set. 15ml Face Cream Night. Dramatic eyes,bold lip - NEW Clinique Gift Set. To use: Shake well, using a cotton ball, sweep over face and throat, avoiding eye area. Use morning and evening after cleansing with Anti-Blemish Solutions Cleansing Foam. After blemish clears, continue using for preventative care. Clinique Dewy Delights Gift Set contains. Clinique Must Have Set 6 Full Size Products, BN Bundle Indiv. Value £118!!! Fantastic gift set by Clinique. Full size items wirh mirror in a gorgeous box. Thanks for looking and Good Luck! What we have here is a rare Clinique Exclusive London Non Stop Look all in one 6 piece travel make up set for face & eyes. Serial Number A35. HIGH IMPACT MASCARA -BLACK. TRAVEL BAG ALSO INCLUDED. As for the condition the set is sealed in it's box which is a little crumpled with minor marks (see pics). Clinique make up bag designed by Jonathan Adler with take off the day make up remover and liquid soap, all new. This item will be sent second class delivery, please leave feedback on receipt of your item. Please check out my other items, I am happy to combine postage. Thanks for looking. CLINIQUE (BETTER. BRIGHTER SKIN UNE PEAU PLUS BELLE 3 PIECES-. - Clinique EVEN BTTER CLINICAL DARK SPOT CORRECTOR/1. ). Condition is New. - 2 in 1 Cleansing Micellar Gel. - High Impact. Clinique bag. Clinique anti blemish solutions clarifying lotion 30ml. (Bag worth £7). 3, Repairwear Laser Focus (.5 oz. Clinique 5pcs Travel Set (Great Value). Model Clinique New Style Gift Set. 1, All About Shadow Quad ). Clinique hilash, bye lash set. High Impact mascara 3.5ml New.